By the time he left Fairmont State University in 1988, Joe Kikume had compiled quite a resume in athletics. He decided , though , that 11 letters at Waynedale High and three more in football at Fairmont weren’t enough, so he moved on to Ohio State and added one more wrestling letter with the Buckeyes. Kikume left a legacy on both sides of the football at Waynedale, graduating in 1984 as the school’s All-time leading rusher (2,707 yards) and single-season tackles leader (119, 1983). The three-year letter winner was an All-Ohio Honorable Mention linebacker as a junior and a Third-team All-State running back as a senior, a season that saw him run for 1,402 yards and score 19 touchdowns, also earning an All-District First-team berth and the second of his back-to-back Wayne County Athletic League Most Valuable Player awards. Kikume captured three WCAL titles in four seasons of wrestling, qualifying for State twice, finishing as the Class AA 167-pound runner-up as a senior. That match culminated a mat career that included Waynedale records for wins (95) and takedowns (166). Kikume also ran and jumped to four letters for the Golden Bear track squad, qualifying for Regionals twice in both the long jump and low hurdles and once in the 400 relay and the mile run. With football still in his blood, Kikume played four seasons at the semi-pro level before turning to coaching. 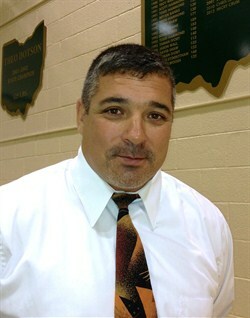 In addition to football, his coaching duties have included wrestling and softball. After stints as the head coach in wrestling and softball at Caldwell (1992-94) and Carrollton (wrestling, 1994-96), Kikume moved to Roswell, N.M. in 1998, where he currently teaches and serves as head softball and assistant football coach.